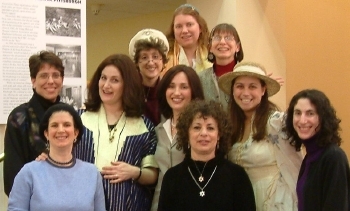 Kol Isha brings together Jewish women of varying backgrounds and views. 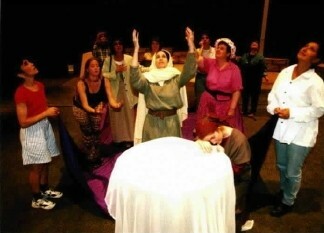 The group uses theatre to explore and present issues of concern to Jewish women. Kol Isha is Hebrew for "a woman's voice", or "all woman", or "every woman". The fifteen members range in age from 20's to 50's and bring to the group various backgrounds, lifestyles and perspectives on Judaism. The group represents a full spectrum of the Pittsburgh Jewish community. 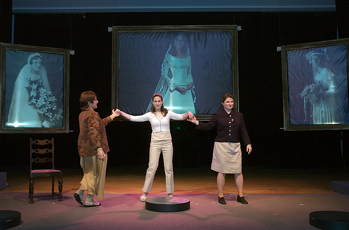 Together, through improvisation and soul-searching, they explore their own personal experiences as Jewish women, breakdown stereotypes and foster relationships. Detailed performance schedule, photos, and more information right here!